In 1955, Variety magazine infamously predicted that rock ‘n’ roll would all be over by June. It is quite apparent more than 60 years later, that this couldn’t be further from the truth. Accurate predictions of industry trends and patterns are crucial for many businesses, particularly when machinery that has a finite lifespan is involved. Predictive analytics, a branch of mathematical analysis, can forecast unknown future events using techniques such as predictive modelling and machine learning. Used across many industries, predictive analytics can provide trend analysis and pattern recognition which are used by airlines to set ticket prices, banks to calculate credit scores and manufacturing facilities to predict the lifespan of their equipment. As the cost of test and measurement equipment such as sensors, fall, more industries are employing technology for additional applications. As technology use continues to grow with the advent of Industry 4.0, so does the amount of data available. One use of this data within manufacturing plants is predictive maintenance. 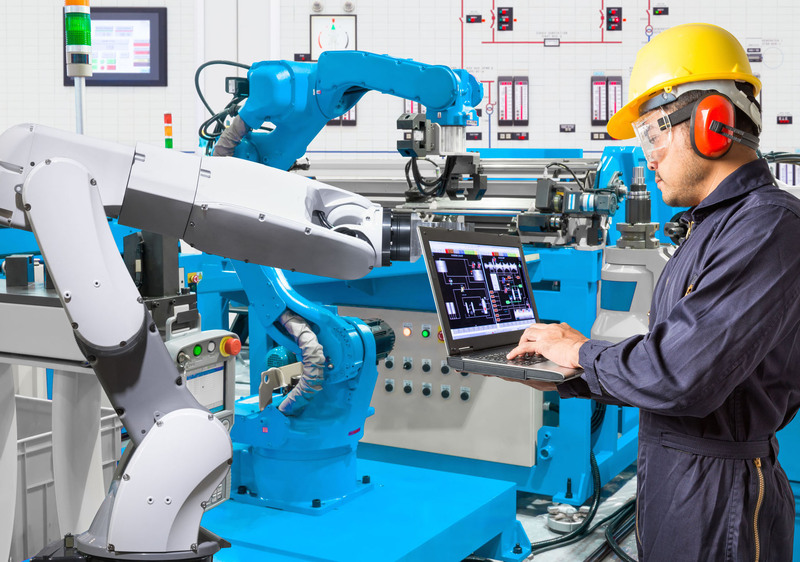 Predictive maintenance, an applied form of predictive analytics, is used by many manufacturing plants to determine the condition of equipment, allowing maintenance to be performed at predicted, planned times. This can save time and money by detecting failure before any damage occurs to the machine or system, in addition to limiting downtime. Efficiency is priority for maintenance teams and operation decision makers, and the ability to predict when an asset needs intervention, or replacement, allows time, resources and personnel to be planned around the downtime. Predictive maintenance can both minimise the amount of time the plant is unproductive, allowing only essential sections to be shut down, and limit the effects on the subsequent production line. This increases plant availability, while increasing equipment lifetime and plant safety, in addition to reducing the likelihood of safety breaches and the negative impact inefficient equipment has on the environment. For predictive maintenance to be effective, a choice must be made about what data to use. It is unwise to attempt to use all the available data, especially as the amount available increases. Data can range from maintenance reports to expected lifetime statistics and sensor data, and choosing the right format is vital to producing the desired results. Usually real-time data from sensors or programmable logic controllers (PLCs) is used in predictive maintenance systems, although this will vary depending on the specific needs of the plant. The low data requirements mean most plants already have all the necessary data available, it is just a matter of using it correctly to ensure the efficiency of their maintenance work. Predictive maintenance is becoming increasingly popular as plant managers begin to recognise it as a cost-effective solution for the scheduling of corrective maintenance, preventing unexpected equipment failures and unplanned downtime. With the wealth of information available, and sophisticated systems involved, the predictions are very accurate – unlike those of Variety magazine. Jonathan Wilkins is marketing director of industrial obsolete parts supplier EU Automation.